A twenty-two-year-old, frustrated Eli Poole is about to break free from a Christian home where he clearly doesn’t belong. He can imagine the freedom. Free at last! No more disapproving looks from his father. No more incessant attempts by his mother to evangelize her wayward son. No more clingy, snot-nosed little brother to put up with. In 3 days, Eli will finally escape Hicksville and enter a brave, new world, full of bright lights and great expectations. 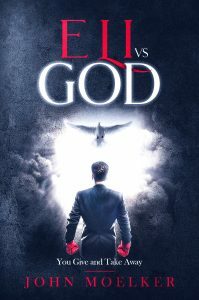 Eli’s journey will take him into a wilderness of trials and temptations and a valley that is deep, dark, and full of danger. But he might also meet some strange and interesting people along the way. Who knows? He might even find some romance — if his greatest adversary allows it, that is. Eli believes that it’s Eli vs. the world. He’s about to find out that it’s not the world he has to worry about—it’s the world’s creator — the LORD God, Almighty. Eli is in for the fight of his life. A fight to the death. Join Eli on his journey. You might just see a little bit of Eli in you. What inspired me to write this book is God's relentless pursuit of His wayward children. This book is a fictional book, but it's main character is loosely based off my life where I constantly fought against God, my parents and all the things I was taught growing up. God never gave up on me and threw a few left hooks of His own, which I needed in order to wake up to His amazing Grace. It is my hope and prayer that many will be blessed by this story and draw closer to God. Saddle up! 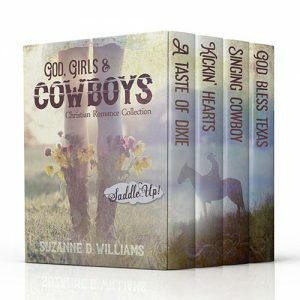 All the boots & blue jeans a woman can take in 4 faith-filled stories! Only 99 cents or FREE on Kindle Unlimited! And Book 3 is EXCLUSIVE to this set. You won’t find it anywhere else! From Montana to Georgia and Texas, these stories offer something western for everyone. Travel from the wilderness to the rodeo to the ranch! Fans of Narnia and Middle Earth will love the Epic of Haven! Book One, THE GREAT DARKENING, is on sale for just 0.99 from July 20th – 26th. Told from multiple perspectives, this is a powerful story of three women – of the threads of mercy that connect them – and of heart-wrenching sorrows alchemized by the Heavenly Father’s overwhelming redeeming grace.